One of the newest techniques to surface at Winter CHA was Zentangling. And I've got to say it wasn't something I thought I'd be interested in. But faced with the challenge I'd been given I decided to give it a go because it used a minimal amount of materials: All you need is a white surface, a black marker and a willingness to doodle. Remember at the beginning of this challenge I said I had to do it with the materials I had on hand? Well I didn't have white paint but I did have a light shade of pink so I've already broken the first rule of Zentangle (not that there are any) but sorry to all the purists out there - I have to work with the materials I have on hand, so pink it is! And speaking of using the materials you have on hand, one of the things I didn't have was a paint brush. I didn't have a sponge either. Nor did I have a cotton bud. But what I did have was a box of tissues. Sometimes you just have to make do and become a little bit inventive. 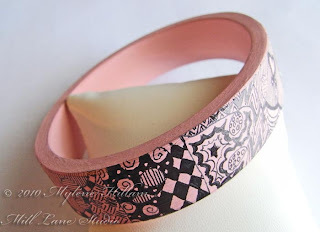 So I placed globs of paint on the bangle and used the tissues to spread it and smooth it out. 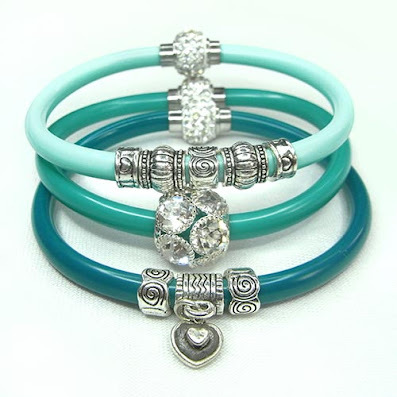 It's lucky that Diy Bangles have such a smooth surface that accepts paint so well. A couple of coats gave me a good surface to work on. I left the bangle alone to dry overnight because I didn't want any problems whilst I was doodling. Now to the doodling. I'm not the biggest doodler at the best of times so this seemed like a daunting task. 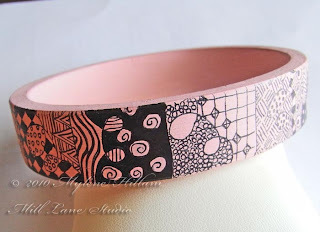 But armed with a basic knowledge and a willingness to let go of my doodling inhibitions I began by sectioning off the bangle. 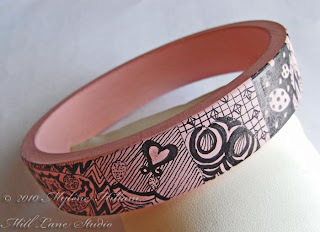 To get even sections I cut a strip of paper to fit around the outside of the bangle. 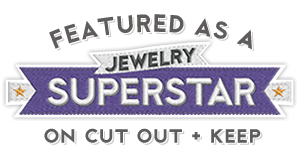 I kept folding it in half until I had sections that I felt comfortable working in. 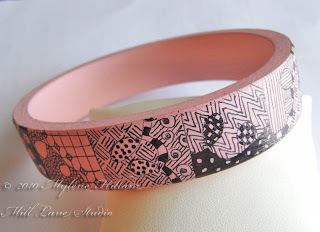 Then I transferred the fold marks onto the bangle with a Sakura Microperm pen. With the sections drawn in it was now a matter of filling them in with doodle patterns and this is where I turned to a Design Originals book, Zentangle Basics, for some inspiration. So I sectioned each of the rectangles into smaller sections and began filling them with some of the patterns described in the book. And before I knew it, I started drawing some of my own patterns..... and then I realised that this was very soothing and relaxing and I was completely absorbed by it. I was actually enjoying this process which totally caught me by surprise! 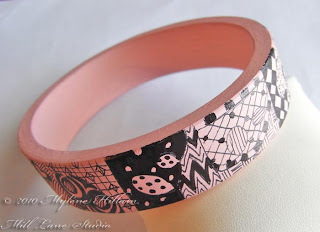 I continued all the way around the bangle, sometimes switching to an IDenti-pen (also from Sakura) to draw in heavier lines and to fill in darker areas. 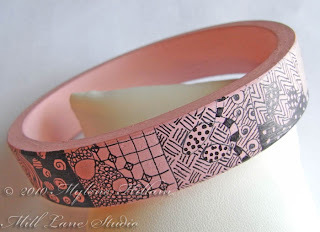 If you like the look of this type of bangle check out Suzanne McNeill's blog which has a few patterns to get you started. 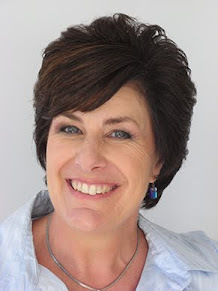 Suzanne is the author of Zentangle Basics and is also a Certified Zentangle teacher. But beware, Zentangle is addictive! My thanks go to Sakura of America for supplying the pens for this project and also to Design Originals for the book that got me hooked!